Probate is the process of administering an estate, which includes gathering assets, paying debts and distributing assets to the beneficiaries named in the will. While the court generally oversees the probate process, it is the personal representative, or executor, named in the will who manages the estate throughout the probate process. The personal representative must advertise the estate to interested parties, such as creditors or beneficiaries, in accordance with state law. As long as the personal representative complies with a state's notice requirements, the estate can be finalized even if no one responds to the notices. Before a person who is named as personal representative in a will is appointed by the probate court, some states require that he publish notice of his application to become personal representative in the local newspaper, as well as by sending beneficiaries written notice of his potential appointment. 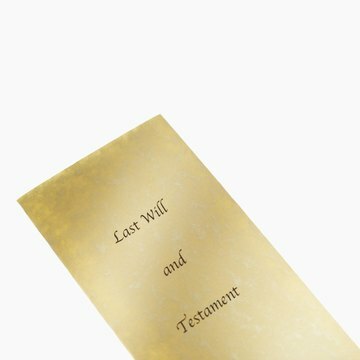 This will give heirs, or next of kin who are not named in the will, a chance to participate in the probate process, including contesting the will; it gives both heirs and beneficiaries the opportunity to contest the appointment of the personal representative. Once the personal representative is appointed, one of his duties is to provide notice of the probate proceeding to the estate’s creditors so that the creditors may properly submit their claims against the estate. Providing notice to the creditors alerts them that if they don’t submit their claims by the deadline established by state law, they lose their rights to make claims against the estate once probate is closed. Some states require direct notice to creditors, while other states only require the personal representative to "advertise," or publish notice of, probate in the paper. If a letter is sent to creditors, in addition to informing them how long they have to present their claims, it typically also includes the name and address of the executor, as well as an offer to furnish copies of the will. Public notice to creditors of a probate proceeding is often published in a county newspaper where the probate is pending for a set number of days. Some states, like Texas, "publish" notice of the probate proceeding by posting the notice at the courthouse. An executor is a person appointed by a probate court to administer a decedent's estate. An executor has a legal duty to gather all estate assets for distribution to a decedent's beneficiaries and heirs. She must always act in good faith and deal expeditiously on behalf of the estate. An executor is obligated to finalize an estate by turning over estate assets to the heirs and giving a final accounting to the court.